If you live in New Jersey and even think that you might one day find yourself in need of long-term care, then you owe it to yourself and your family to start planning for that eventuality now. Naturally, none of us want to really contemplate that sort of future for ourselves, since we’d all like to think that we’ll be healthy, vibrant, and self-sufficient until the day we die. Realistically, though, that’s simply not the case. A large percentage of us will one day end up in a nursing home or other care facility. Unfortunately, nursing home costs are a major challenge for most seniors – and not just due to a lack of proper planning. Those costs have risen dramatically for many years now, and are now at levels so high that only a small fraction of seniors can manage them on their own. For most seniors, the options are much more limited. Some exhaust their savings and turn to family for assistance. Others rely on a combination of retirement income and long-term care insurance proceeds. Many others must rely on government assistance. If you’re worried about the costs of long-term care, your Medicaid attorney can help. According to some estimates, the average cost for nursing homes in the state of New Jersey amounts to $320 per day – or roughly $9,000 a month. Across the state, those costs range from about $230 a day to as much as $426. While that might seem like an excessive amount of money to pay for a semi-private or private room, it is important to remember that the cost includes not only the room but medical treatment, around-the-clock nursing care, meals, medications, and more. Obviously, it is easy to argue that residents do get their money’s worth in terms of actual value. Even so, the fact that these costs may be justified does little to minimize the financial burden that they impose on seniors. 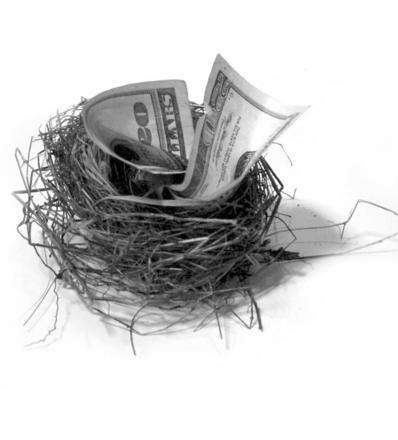 The fact is that most people simply won’t be able to save and invest enough to build up the type of nest egg needed to finance several years of care in a nursing home facility. That leaves them with a limited range of funding options – and most are not very attractive. Liquidating assets. Some seniors can finance a few years of care by liquidating their estate. That typically requires selling off almost everything they own, and few are willing to go to those extremes. More importantly, any senior whose community spouse still has need of those assets will also have to worry about maintaining enough wealth to provide for his or her loved one. Relying on family. There are families across America that contribute to nursing home care for their loved ones. Often times, grown children of the senior resident will join together to help cover at least part of the costs. That is still an unattractive option, however, since many of those children have families of their own to take care of. Few can afford the expenditure. Rely on Medicaid. This option seems strange to some people at first, since Medicaid was designed to provide help to low-income Americans. In recent times, however, the program has come to serve as the largest payer for nursing home care, with millions of American seniors relying on the program’s benefits to cover the cost of their care. So Why Do I Need an Attorney at All? You might be wondering why an attorney is even needed if you can simply rely on Medicaid to finance your nursing home costs when you need long-term care? After all, you should be able to just file for benefits and wait for approval, right? Not so fast. As it turns out, the Medicaid program has some pretty strict guidelines about who can qualify for benefits – and the income and asset limits used to determine eligibility are so low that you have to be virtually impoverished before you can get any help with your long-term care costs. On the surface, that would seem to present you with only a few options. You could try to give away all of your assets – putting property in other people’s names, giving money as gifts, and so on. Of course, Medicaid frowns on attempts to shelter assets in that way, and can levy some pretty harsh ineligibility penalties on anyone it thinks might be attempting to manipulate the system. You could also simply spend all of your assets on nursing home care, and then apply when you’re broke. If you do that, though, you have to give up on any plans you might have had to leave some sort of legacy behind for your loved ones. The final option is the one that involves advice from a Medicaid attorney, and it is by far the better choice. With that attorney’s help, you can utilize a variety of Medicaid planning strategies that can convert countable assets to non-countable ones, and thereby protect them from nursing home costs and Medicaid’s prying eyes. Other assets can be spent, gifted, or otherwise removed from consideration in ways that won’t result in penalties that might leave you without the financial assistance you need. And while no attorney can guarantee that you can preserve all of your assets, you can almost certainly protect a large portion of your wealth and keep it from being consumed by costly long-term care. 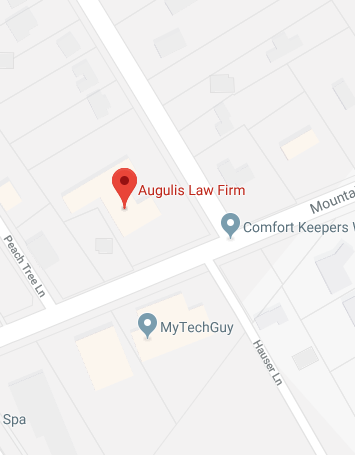 At the Augulis Law Firm, we know how frustrating it can be for seniors and their families who are confronted with the wealth-consuming costs of long-term nursing care. Our elder law and estate planning experts can provide you with the Medicaid planning strategies you need to help you avoid the impoverishment that paying for nursing home care can create. We’ll work with you to ensure that you protect as much of your estate as possible, while still remaining eligible for the financial aid you need. To learn more about how a Medicaid attorney can benefit your estate planning needs, contact us on our website or give us a call at (908) 222-8803 now.